It’s very unusual for a piece of legislation to fail and then be quickly reconsidered. It’s even more rare for a bill to receive four votes in just a span of weeks. Yet, yesterday the Senate considered for the fourth time S1, which contains the Combating BDS Act. In the past, cloture votes on the bill had failed on three occasions. However, while some Democrats attacked the bill for violating the First Amendment, the most common objection was that the Senate should not vote on any bills until the government was reopened. With the government presently reopened the bill Senate voted to advance the bill 74 to 19. The bill faces an uncertain future in the House of Representatives. The Combating BDS Act gives states “permission” to pass laws that deny contracts to those who boycott Israel. 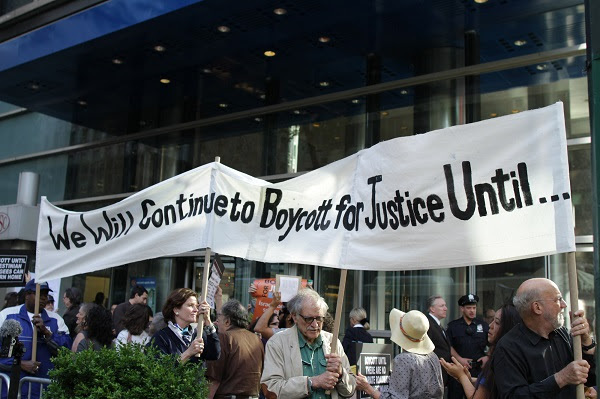 In recent years, supporters of Palestinian human rights have increasingly turned to boycotts, divestment, and sanctions (BDS) against Israel. Such political boycotts are constitutionally protected speech. Yet, 26 states have enacted laws that penalize such boycotts. The Combating BDS Act is designed to insulate these laws from a challenge that these state laws are preempted by federal law. While a number of lawsuits have been brought against anti-BDS law, so far not a single one has been based on the doctrine of preemption. Instead, they have challenged these laws on First Amendment grounds. And there is nothing the Congress can do to authorize states to violate the First Amendment.